At a time when the Government of India (GoI) has claimed that 99.4% of the country's villages have been electrified, but the GoI's powerful thinktank electrification, Niti Aayog, has pointed out that there are 304 million people who still lack access to electricity in its draft National Energy Policy (NEP), released in mid-2017, top US business interests have begun to see it as an opportunity. 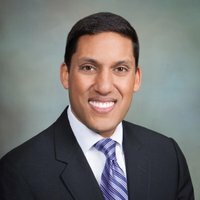 Dr Rajiv J Shah, current president of the Rockefeller Foundation (RF), who served as administrator of the United States Agency for International Development (USAID) from 2010 to 2015, has strongly pitched for "the fundamental role of public-private partnership to lift millions of Indian households out of poverty" by providing them electricity. Shah was speaking at the India Energy Access Summit in Delhi on February 12, following which, a day later, he met Niti Aayog vice-chairman Rajiv Kumar. At both the spots, he stressed on the need for strong private partnership in India to electrify the country's rural households, even as suggesting, this has been demonstrated by RF investing nearly $150 million over the last 20 years "to impact the lives of the most vulnerable people in India." Regretting that in India a village is deemed electrified even if only 10 percent of homes and a few rural institutions are connected, the top US philanthropic organization, which is running Smart Power India project has "appreciated" that the draft NEP recognizes “a need to redefine the concept of ‘electrification’ with the village being deemed completely electrified if and only if all households of a village have an electricity connection, which witnesses reliable supply of electricity at least for a set number of hours”. Meanwhile, a writeup published in RF site and published as a blog, which Shah particularly focussed upon, has said, "The hope is that the 'set hours, will cover daily needs", adding, "With 23% of India’s population still thirsting for electricity and millions more receiving only poor and unreliable access, it would seem that India needs to rapidly add generation capacity." "However", the RF blog says, "This too presents a contradiction, in that India has significant generation capacity idling, with an aggregate capacity utilization of about 60%. So why not just d https://www.rockefellerfoundation.org/blog/24x7-power-access-not-electrification/ irect the unused capacity to meet rural demand? Problem solved, right? ", it asked. "Simply put, it is not viable to distribute the access to the people who need it. Rural electricity supply and service costs are prohibitively high, while rural demand density is low and fragmented", the blog says, adding, "Furthermore, pilferage and losses are high and the tariffs are well below delivered cost. This is a huge disincentive for India’s debt-plagued state-owned distribution companies (DISCOMs)." "The challenge is so large that a portfolio of approaches needs to be tested and deployed", the blog opines, adding, "New models of electricity distribution are emerging. In nearly 110 villages across Uttar Pradesh, Bihar and Jharkhand state, more than 40,000 people have access to reliable grid-quality electricity from privately operated renewable energy mini-grids supported by RF's Smart Power India programme." Pointing out that the draft NEP has also stressed the "need to incentivize the mini-grid sector by encouraging independent developers and supporting them to scale", the blog stresses, "Privatizing electricity distribution has proven successful in some Indian metros in improving quality, reliability, collection and loss reduction." It adds, "More private players can be attracted to scale up mini-grid deployment if the government announces a national target for mini-grids along with a package of incentives. More importantly, public-private partnership pilots for rural electrification need to be modeled and tested in partnership with existing state DISCOMs to address the access challenge." 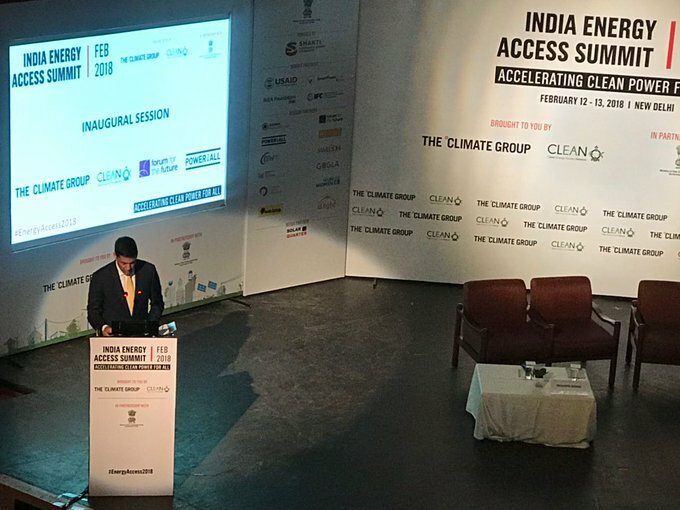 "Such partnerships forged in rural electrification can unleash on a large scale innovative business models, new technologies and operational efficiencies to make a breakthrough in bridging India’s chronic energy access gap. It could help realize the national goal of “24×7 Power for All” by 2022", it believes.